The Field Qualifier Enumeration feature allows you to define a value which, when entered in the fld_qualifier field in either the Water Level tab or form, will result in that record's dry_indicator_yn field being set to "Y". 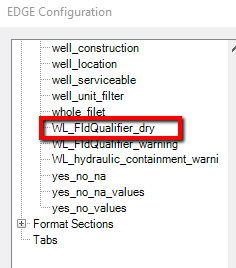 The top value in the WL_FldQualifier_dry enumeration is the value that will result in dry_indicator_yn = Y if fld_qualifier is set to that value. 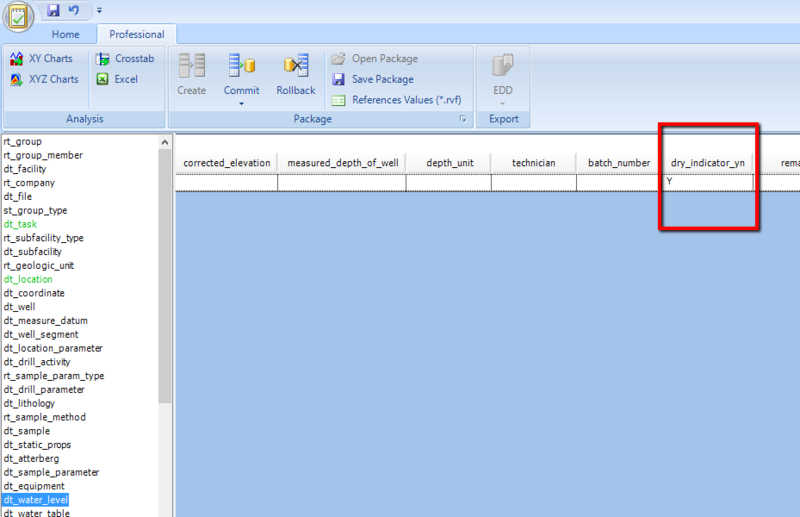 Follow instructions in the EDGE Configuration Plugin Tool to edit this enumeration, if needed. If desired, set WaterLevel_v1.fld_qualifier to show the value in the WL_FldQualifier_dry enumeration in a drop-down. In EDGE > Plugins ribbon > EDGE Configuration, select WaterLevel_v1 and add the enumeration WL_FldQualifier_dry enum to the fld_qualifier. In the Water Levels Form or tab, enter a value in fld_qualifier that matches the value set in the WL_FldQualifier_dry enumeration. If this field is not showing on the form or tab, follow directions for configuring the Water Level Form or the Column Chooser in the Water Level tab, respectively, to make it appear. 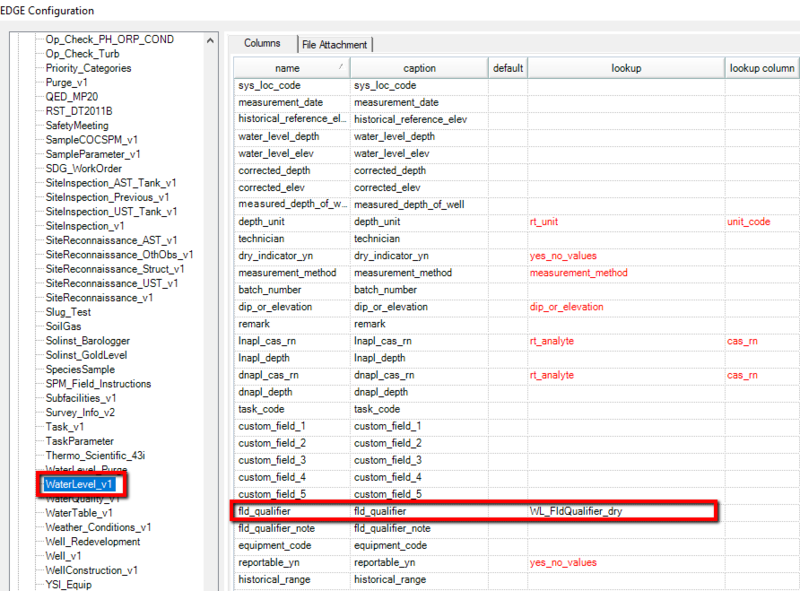 During the Create step of loading the EDGE EDD through EDP, WaterLevel_v1 rows where fld_qualifier is the matching value to the enumeration will result in dt_water_level records with dry_indicator_yn = "Y".